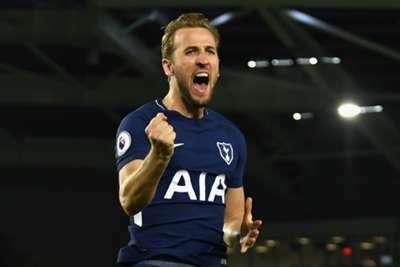 Harry Kane will be tempted to leave Tottenham unless the club can break a 10-year wait to win a trophy, according to Graeme Souness. Kane could claim the Premier League's Golden Boot for the third year in a row if he can chase down Liverpool's Mohamed Salah, while he is a candidate to captain England at the World Cup. Despite his individual honours Kane is yet to win a trophy in his career and has seen former team-mate Kyle Walker claim the EFL Cup and Premier League crowns at Manchester City this season. Kane has been linked with Real Madrid, although the striker has regularly spoken of targeting Alan Shearer's all-time Premier League goals record, which stands at 260 - 156 ahead of Kane. But Souness, who started his playing career at Tottenham, thinks Kane and other key Spurs talents may drift away from the club unless silverware is secured in the coming years, with Mauricio Pochettino's side facing Manchester United in the FA Cup semi-final on Saturday. "There'll be changes," Souness told Omnisport, while speaking at an event organised by One Family and the Ian Rush Foundation, of the club's future if the trophy drought continues. "Harry Kane will leave. Maybe some others. Maybe the manager will get the sack. That's all two years from now. "Pochettino is someone viewed as having done good job at Tottenham for now but ultimately will be judged on what he wins and doesn't win." Souness believes there are comparisons to be made between Spurs and Liverpool, who are also yet to win a trophy under a much-praised coach in Jurgen Klopp, the German having led the Reds to the Champions League semi-finals this season. "They're so far the exact same as Liverpool," former Liverpool captain and manager Souness said. "Great football, you'd pay to watch them most weeks. "I did a couple of games for [UK broadcaster] Sky and you're saying before the game 'This is going to be a cracking game'. "Three teams [including Manchester City] that know one way of playing, that's 'We're going to outscore you'. And it makes for a great watch."